Proteas' Sipamla hopes for first wicket - SABC News - Breaking news, special reports, world, business, sport coverage of all South African current events. Africa's news leader. The youngster says playing in the Inaugural Mzansi Super League for the Tshwane Spartans and the experienced he gained in the tournament prepared him for the Proteas' set-up. 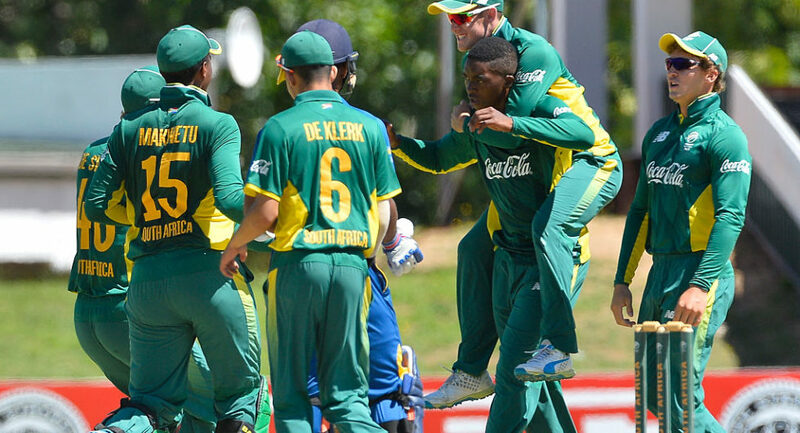 Young fast bowler Lutho Sipamla says he would love to get his first wicket in Proteas’ colours should he get a chance to play against Pakistan on Wednesday in the final T20 match. The youngster says playing in the Inaugural Mzansi Super League for the Tshwane Spartans and the experienced he gained in the tournament prepared him for the Proteas’ set-up. With the series in the bag, Proteas coach Ottis Gibson is likely to give new and young players a run against Pakistan. The 20-year old, who made his international debut on Sunday against Pakistan, says hopefully he’ll get wickets should he be given a chance to play on Wednesday. “I’d like to see wickets all the time, I get to bowl, because that’s the goal all the time. The wickets will come, I guess, by me doing the right things over and over again, so it’s a process. I’m looking forward to hopefully getting that first wicket if I do get to play in the next game,” says Sipamla. This entry was posted on 06 Feb 2019,06:52AM at 6:52 AM and is filed under Sport, Homepage Latest Stories Slider. You can follow any responses to this entry through the RSS 2.0 feed. Both comments and pings are currently closed.